JOEY REIMAN is founder and CEO of the global consultancy, BrightHouse, a company whose mission is to bring purpose to the world of business. Reiman has emerged as the leading expert in the area of purpose-inspired leadership, marketing, and innovation. 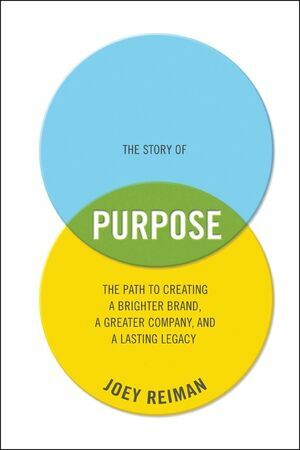 His breakthrough purpose methodology and frameworks have been adopted by top firms, including Procter & Gamble, The Coca-Cola Company, McDonald's, Nestlé, MetLife, SunTrust, Michelin, and many other Fortune 500 companies. Fast Company named him one of the 100 people who will change the way the world thinks. Reiman is married to women's activist Cynthia Good. They have two sons, Alden and Julien, and reside in Atlanta, Georgia.